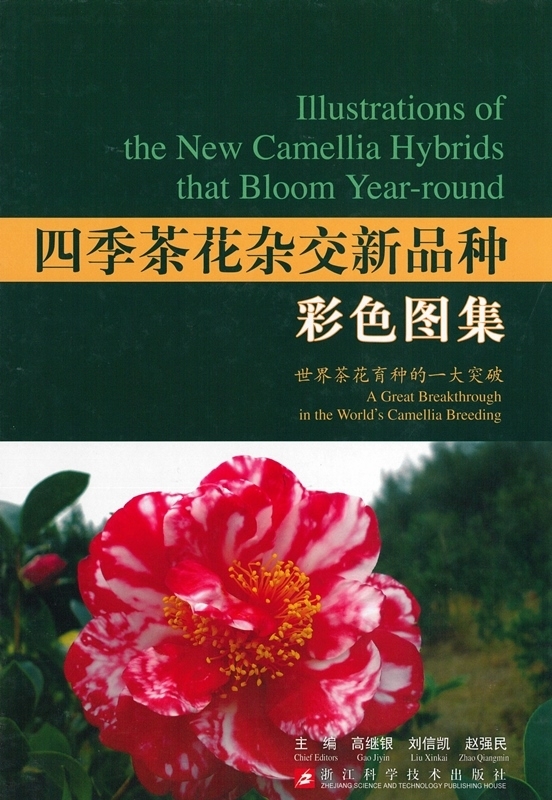 This impressive, large (9” x 12”), 581 page book, Illustrations of the New Camellia Hybrids That Bloom Year-round, by Gao Jiyin, Liu Xinkai and Zhao Qiangmin was published in 2016. The heart of this magnificent publication is the 217 beautiful images of the C. azalea hybrids that bloom all year. Each of these new hybrids is illustrated with three or more quality photographs that clearly show its color, form, petals and foliage. There is a brief description in Chinese and English for each cultivar.